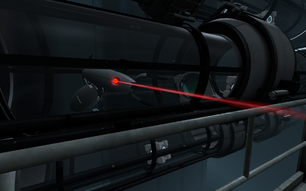 The Oracle Turret is a friendly Sentry Turret that is encountered twice in Portal 2. Though never named in-game, it is known for its cryptic speech of future events and exposition. Propose new featured articles first, before making any changes here. This page was last modified on 13 July 2011, at 03:54.